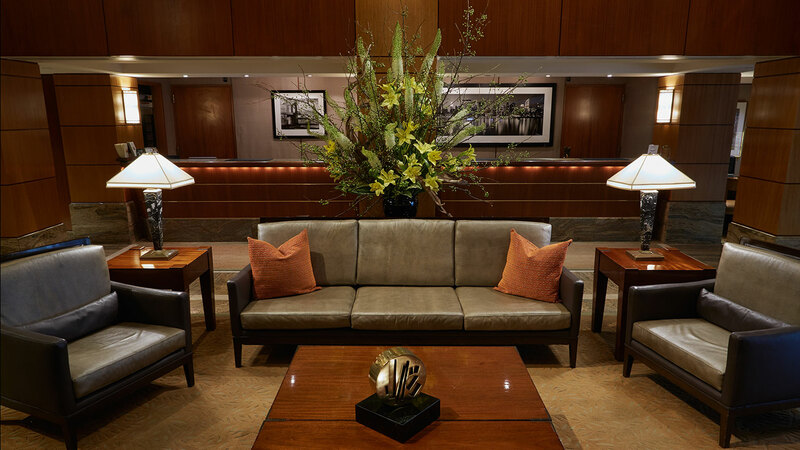 The culture of the Kitano Hotel New York goes far beyond Japanese tradition and hospitality. Since its opening, the hotel has upheld a formidable tradition of patronizing the fine arts by continuously seeking new and rare opportunities to showcase art, music, and culture. 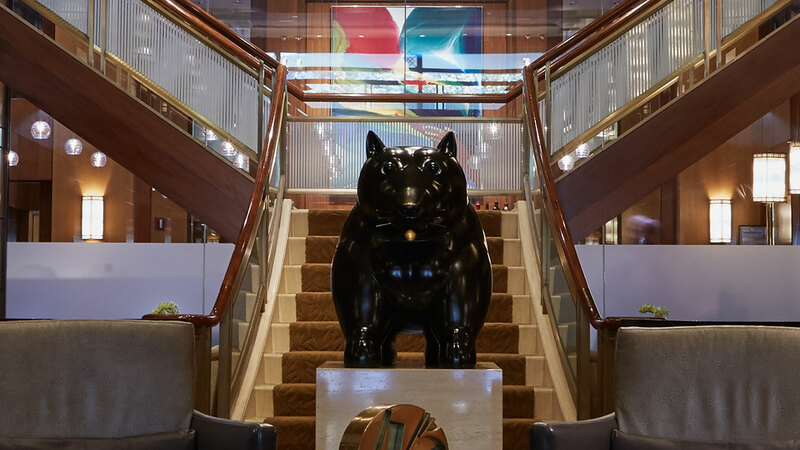 As part of this initiative, The Kitano Hotel New York features a rotating repertoire of gallery pieces throughout the hotel's lobby and mezzanine, including permanent fixtures such as the notable bronze sculpture titled "Dog" by the world-famous sculptor Fernando Botero. "Dog" stands sentry at the base of the stairs leading to the Mezzanine and greets guests as the first of an impressive, museum-quality collection of art. Other featured artists include Paul Jenkins, Red Grooms, Ed Baynard, and photographers Joel Greenberg and Henri Silberman with themes depicting various New York landmarks. The Mezzanine pathway features a window into the rare and precious artifacts exhibited at esteemed cultural institutions. Past displays have been provided by revered establishments including The Museum of Art and Design, The Morgan Library, and Lladro Gallery. Currently on display are pieces from the renowned Baccarat Collection, famous since the 18th century for its unique and revolutionary crystal masterpieces that have made Baccarat a symbol of eternally young and unrivaled luxury. In honor of its unique Japanese culture, the Kitano's Michelin-rated Hakubai restaurant houses an extensive collection from the renowned artist, Tatsuya Ishiodori, a contemporary Japanese painter who has hosted prominent exhibitions throughout the world. As guests stroll through the lobby and dine in Hakubai, they will no doubt admire the artful Ikebana floral arrangements designed weekly by the renowned Ikenobo Ikebana Society. 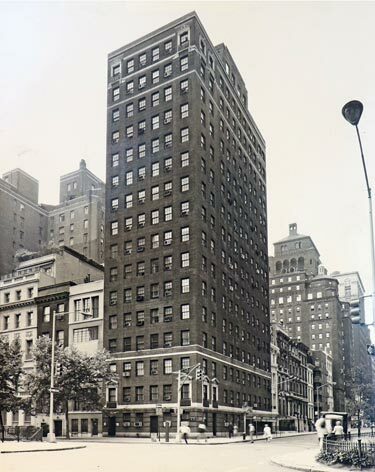 The Kitano's history dates to the 19th century when the building was owned by the Rockefellers and known as the Murray Hill Hotel. 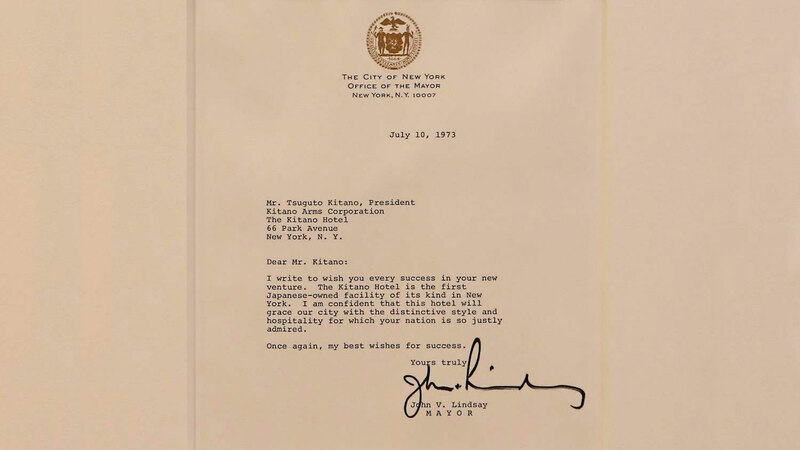 In 1973, the property was purchased by the Kitano Group and opened as the Kitano Hotel, the first Japanese owned hotel in New York City. 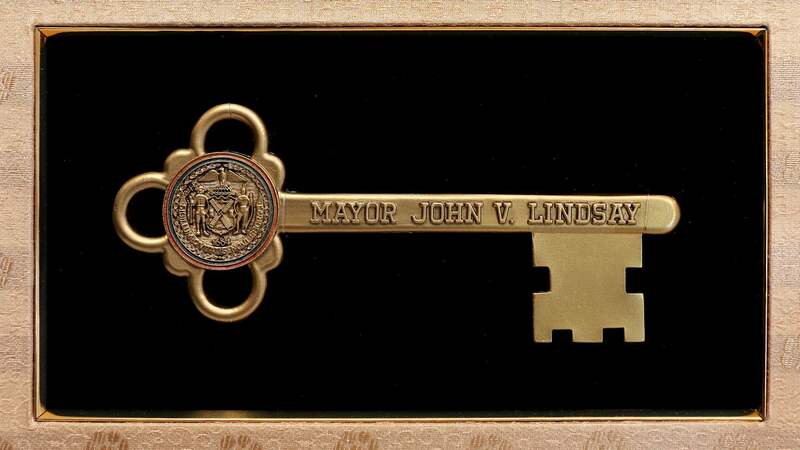 A welcome gesture was made by Mayor Lindsay by presenting the "Key to the City" to the hotel. 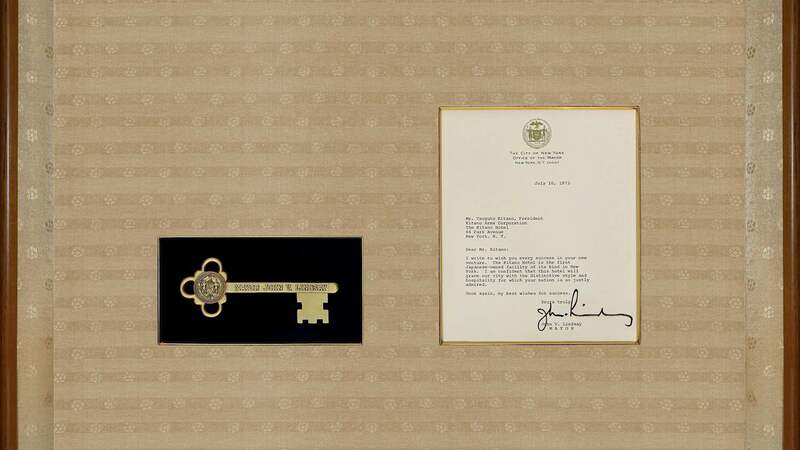 Mr. Kitano was instrumental in planning the reconstruction of the hotel and in developing the unique concepts of hospitality which have positioned The Kitano Hotel New York on the cutting edge of the city's hospitality industry. Its commitment to excellence, customized services and rare blend of the traditional Eastern and modern Western themes and designs, make The Kitano Hotel New York the top choice for distinguished travelers.